Even after building an attractive website and good content, many bloggers complain that they don’t get good rank in search engines or there is a lack of targeted traffic. The main reason for the lack of organic traffic is lack of SEO knowledge and checklists. Best way to get organic traffic is through Google and to rank your website in top search results you need learn SEO. SEO is Search Engine Optimization, which help you to drive traffic and improve ranking in search engines. 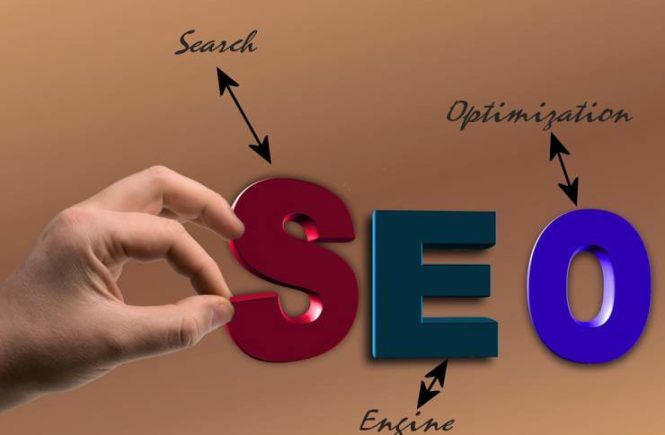 To make your website search engine friendly, you need to use a few SEO strategies effectively. Today I will share a few such important tips for SEO beginners which will help you to get good rank in Google or any other search engine. Keyword plays most important role in SEO. The first thing I learned in SEO is keyword because if the keywords are used effectively then there are huge chances that you will get high ranking in search engines. Keywords are the phrases which we use for our web content so that readers can visit our site via search engines. Keywords must be used accurately and should have the right density so that when people search for a query in search engines, then your website gets good ranking which will help you to increase organic traffic. Many bloggers have a practice of stuffing keywords for getting a good rank in search engine, but it’s a big mistake. It’s always better to keep keyword density of 1% to 1.5% to avoid Keyword stuffing. Majorly there are two kinds of keywords, which are long-tail keyword and short-tail keyword. Long-tail keywords are long phrases which include 3 or more than 3 words, whereas, short-tail keywords consists of 1-2 words. I generally emphasis on long-tail keyword because people do search for longer queries in search engines like “SEO techniques for beginners” or “mistakes of affiliate marketing” and thus there are good chances that the long-tail keywords you used might help you to get ranked. Before writing any article it’s important to do a proper research for keywords so that you can get good ranking in search engines. To know which keyword is gaining more followers or CPC, you can use different keyword research tools that are available for free/ paid such as a Google Keyword Research tool, Keywordhub or SEM Rush. Such tools help you know which keyword can get you more targeted visitors to your website and thus the chances are high that they become your website’s subscribers. Keyword research is an ongoing process; you need to do research before writing every useful content you publish on your website. Apart from checking out on a keyword research tool to know which keyword is getting more hits, it’s also important that you use those keywords effectively in your post. In the next point, I will tell you how and where to put up keywords in your content. Many other bloggers are also using a keyword research tool and that’s why to get better ranking in search engine you need to read a few top ranked articles and come up with better insights in your article, then only there are chances to get on the top results in search engines. There are various places where you can place your keywords in order to make sure your page comes high in ranking. • Page Title: You can specify your keywords in the Meta title tag (html tag). This title is shown in the top of the browser along with the search result. • H1 Tag: This is the main tag where you put heading of your article, it usually is at the top of the page, so it’s very important that you put main keyword or related term in the H1 tag properly. • Web Address of Your Page (URL): This is another place to put keywords. • Body Content: Put your main keywords in the first 100 words and last 100 words while writing the content, but make sure to take care of keyword density in your article, putting too many repetitive keywords can be bad in terms of search engine ranking. Searching right keyword is the crucial part while doing SEO but due to keyword stuffing, there are other factors of SEO which helps you to rank your website in the top lists of search engine. One such factor is internal linking. • Helps in decreasing bounce rate by letting your visitors what to read next or on which posts will give them more relevant information. • Helps in passing juice from one internal page to another, hence helps search engine to crawl effectively. • Helps in effective navigation and hierarchy of the website. Again, just like keywords even internal links need to be used effectively to get top rankings in Google. You need to make sure that you always link more popular posts to less popular posts so that link juice can get distributed. Another thing to remember is to provide links to posts as well as pages, like “About Me” or “Testimonials” which will help search engine bots to crawl easily to posts as well as pages. Make sure that you don’t do irrelevant internal linking; you should always provide useful and relevant internal links. Internal links are from within your own website. Whereas, Backlinks which are also called as inbound links are the incoming links from other websites to your website. Search engines love the website which have high quality Backlinks because with quality backlinks helps to get good rank in search engines. Now when I say quality Backlinks, it means that your website should be linked to other relevant website (may be same niche). A search engine treats irrelevant Backlinks as spam because many of the website owners use black hat SEO method to gain Backlinks. Search engines might blacklist your website because of too many irrelevant Backlinks. Thus, to get good rank in search engines make sure you get Backlinks from relevant and popular websites. To make sure that your website gets good ranking in Google, you need to redirect Google bots to crawl easily on your website. By submitting a sitemap, you can help Google bots to stumble upon your web pages effectively. A sitemap is an XTML file which consists of links to your web pages. You can create a sitemap of your website with the help of online tools like Google XML Sitemap or Yoast plugin. Once you create your website’s sitemap, you need to submit it to different search engines like Google or Bing. No matter how many SEO tricks you use, but if you are not able to provide a unique content, then it’s very difficult to get you good Google ranking. Google doesn’t like copied or irrelevant content. To get a good ranking, you need to do proper research and must have good knowledge about the topic. Unless you don’t express your point-of-view, then it would be tough to attract readers. You have to stay away from copying content from other websites because Google ban such website and chances of getting high rank in Google would be zero. Thus, you need to take care of your content, even when you are effectively using these all working tips. I hope this effective SEO tips really help newbie bloggers to figure out their SEO strategy for ranking. If you like the above posts then share it and give your feedback. As a free lance marketing consultant with 4 Years experience. I help entrepreneurs and brands to boost their e-Commerce Business sales and subscribers. I am currently working with School of Internet Marketing located in Delhi India. Thank you Jasbir Kaur just for this great blog post seo tips for beginners. It absolutely was extensively helpful and to the point. I am glad I found this blog through google. I really liked your points related to internal backlinks. Hadn’t thought about linking popular pages to less popular one’s but I certainly will start doing that. How important is using specified anchor text type strategies when you are working with internal linking concepts? SEO is always the key to rank your content and one need to learn various tips & tricks, but the basics are always same. many thanks for sharing this useful article. First of all, I am happy to visit your site through Enstine Muki blog. I agree with you Jasbi, Most of the newbie don’t search keyword before posting. Actually, I also made mistakes in my beginner time, but now I always focus on quality, not quantity. On-page SEO is my first step in blogging because If our base is weak, how we can get a good result in search engine. Anyway nice to read my first post in your blog. Thanks, Areesha Noor for your valuable feedback ! !